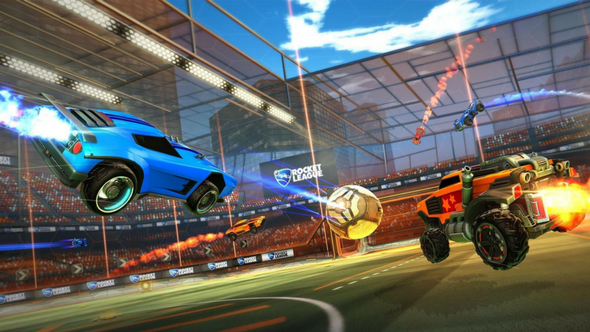 Rocket League is a massively popular game as-is, but Psyonix sees something even bigger. As the game turns two years old and amasses over 33 million registered players, Psyonix makes no bones about the game’s status as a “passion project” and doing things the way they want them to be done, especially considering the game as a platform for the future and not a franchise. If you like having fun with pals, check out our list of the best multiplayer games. When speaking to GamesIndustry.biz, Psyonix VP of publishing Jeremy Dunham stated that Rocket League is a game that “is still the same game” even as it expands, meaning there’s no room for games like Rocket League Karts or Rocket League RPG to further water things down. “We don’t want to exploit the brand. We want to reward the players, that’s how we look at it. Our vantage point is that if we are going to make a new game, then it needs to be a new game, we want it to be its own thing that’s built on its own merit and its own expectations. It will have its own team, its own philosophies and it will be a separate thing,” Dunham states. Of course, the team isn’t counting out new ideas or anything of that nature. They’re still working on things that are yet to come. Dunham noted that Psyonix aren’t looking to simply push games out for the sake of financial security or anything of that nature, and that’s likely one of the keys to making Rocket League the best it can be – the avoidance of diluting the brand further.